Published on 20 July 2008. And so we arrive at the fourth review in my Summer Books series, this week examining Jeremy Paxman’s On Royalty. This, Paxman’s latest commentary on the state and history of our nation, made for a very interesting read. He essentially presents a well-argued case for retaining the monarchy, whilst simultaneously recognising the manifold flaws, improbabilities, and injustices of the system. And, actually, I rather agree with his point of view – which, to some degree, makes for a less challenging and engaging read. I always think it’s always more interesting to read things which challenge your views, rather than things which reinforce them – though often, things which challenge your views end up reinforcing them anyway. Paxman uses an awful lot of history of our monarchy, and several throughout the world, to flesh out his argument, and there is obvious potential for this to become very dry and dull – a potential that, fortunately, is never fulfilled. Paxman crafts a cogent, coherent, and entertaining argument, presented with the wry, dry humour for which he has become renowned. The real beauty of the book is in Paxman’s narrative. It would be easy for a title such as these to lose its narrative thread, but by providing a clear argument running throughout the book, Paxman manages to engage the reader and maintain their engagement, even when explaining complex historical events – albeit in a very accessible style. Paxman provides a robustly constructed, irreverent, and entertaining guide to an institution he argues is simultaneously (and paradoxically) anachronistic, yet relevant and essential to today’s society. 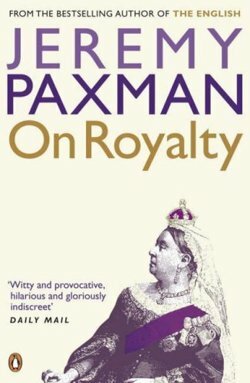 To a person like me – relatively poorly informed about British history – Paxman provides a great introduction and makes a clear argument for retention of the monarchy, whilst also allowing his trademark personality to shine through. I thoroughly enjoyed On Royalty, and would happily recommend it, especially as a ‘Summer Read’: Its humour gives it appropriate summer levity, whilst its recurring themes and central message make it thought-provoking and memorable. This review was originally posted here on sjhoward.co.uk in June 2007, and has been re-versioned for the ‘Summer Books’ series of reviews published on sjhoward.co.uk and Gazette Live. This 1,354th post was filed under: Summer Books, Books, Gazette Columns, Jeremy Paxman.